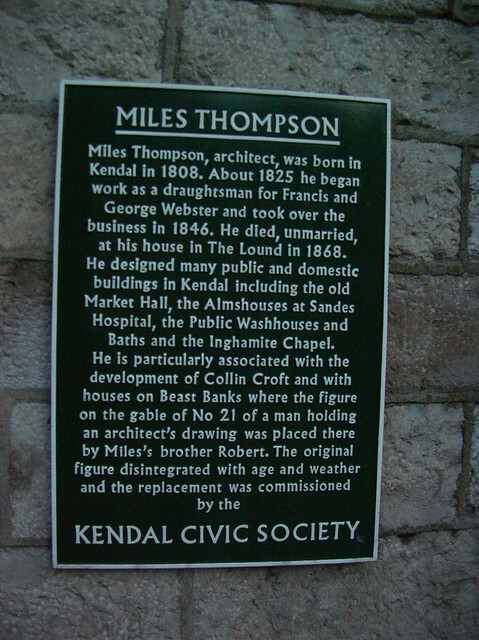 Miles Thompson. 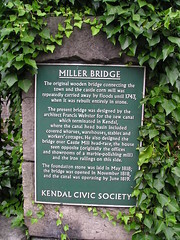 Miles Thompson, architect, was born in Kendal in 1808. 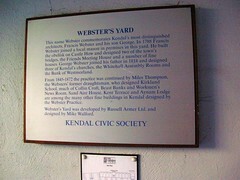 About 1825 he began work as a draughtsman for Francis and George Webster and took over the business in 1846. 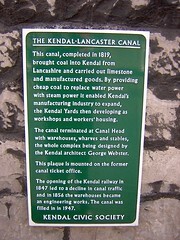 He died, unmarried, at his house in The Lound in 1868. 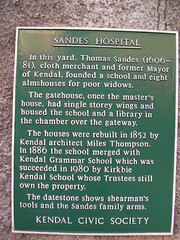 He designed many public and domestic buildings in Kendal including the old Market Hall, the Almshouses at Sandes Hospital, the Public Washhouses and Baths and the Inghamite Chapel. 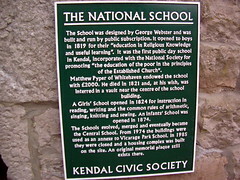 He is particularly associated with the development of Collin Croft and with the houses on Beast Banks where the figure on the gable of No 21 of a man holding an architect's drawing was placed there by Miles's brother Robert. 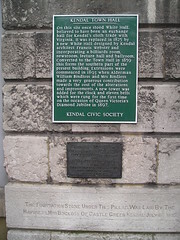 The original figure disintegrated with age and weather and the replacement was commissioned by the Kendal Civic Society.